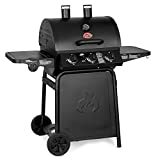 Now if you are looking for the best gas grills with a side burner, then you are in luck today. Although there are many people that prefer a grill without the side burner, there are many that love that extra burner on the side. I have had this type of grill and I used the side burner a lot for keeping food warm or for slow cooking. There are all kinds of brands that offer grills of this type and you as a customer have a lot to choose from. Now of course one of the main factors in deciding on a model be based on how much you are willing to spend. You can find them for under $100 and you can find them for over $500 and up. Here we have brought to you only the side burner gas grills that people have ranked as top rated. So check out the selections below. 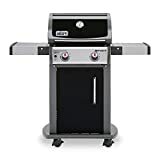 If you are looking for a grill that can handle large cookouts, then the Char-Broil Classic 4 Burner Gas Grill is the unit that you are looking for. This model is a great choice and has what you need including great features and a solid performance. Key features include 480 square inches of primary cooking area with 180 square inches on the warming rack. It also has 40,000 BTU’s of heat with a side burner that puts out 10,000 BTU’s of flaming heat. There is push button start and large wheels for easy transport. A powerful unit that puts out 60,000 BTU’s of heat is the Dyna-Glo 4 Burner Propane Gas Grill. Going to the next level when it comes to grilling can easily be done with this unit. It features 12,000 BTU’s on the side burner, 667 square inches of cooking space along with 2 heavy duty gauge enameled cast iron cooking grates and more. When you are talking about a great overall grill, you are talking about the Char-Broil Classic 6-Burner Gas Grill. It puts out 60,000 BTU’s of heat on the primary surface with 10,000 BTU’s on the secondary side space. It also has 650 square inches of cooking space with 250 more square inches on the secondary warming rack. This unit is great for grilling as well as indirect cooking. Amazon Price: N/A (as of April 23, 2019 1:38 am - Details) Product prices and availability are accurate as of the date/time indicated and are subject to change. Any price and availability information displayed on the Amazon site at the time of purchase will apply to the purchase of this product. A very affordable choice in the Char-Broil 3 Burner Gas Grill.